After spending another week of visiting friends and family in Ohio and Indiana, I decided to hit the road again. My friend in Dayton had taken me to Yellow Springs OH, which is a cute artsy village. It reminded me that my next stop in Indiana would offer the chance to see another art town I had read about. As it turned out, there are three places noted for their arts community. Each in a different area of the state; so, I had to choose based on the route I took. Southward I went through cornfields and hills, and finally landed at Clifty Falls State Park outside of Madison. There are four waterfalls in the park, but unfortunately none were flowing; so no pix taken. Instead, the fountain in downtown played the part admirably. 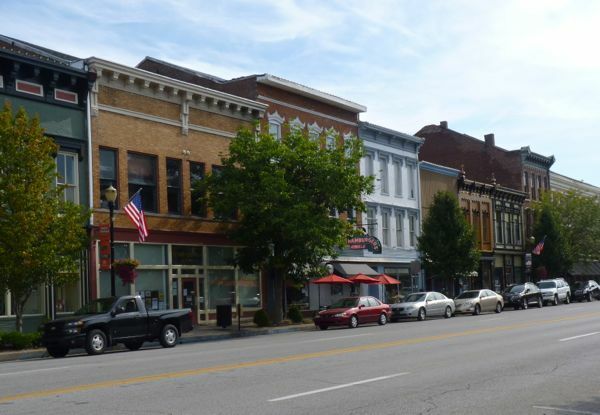 Downtown is like turn-of-the-century Main Street in mid-America. Lined with street lamps, decorative trees and flower boxes, it invited you into the shops and art galleries. Very clean, and well laid out with plenty of parking. I missed the Labor Day festivities and art show, but there was a farm produce stand right off of Main St. There were neatly groomed parks every few blocks, and a pretty landscaped waterfront promenade with benches to rest along the way. A marina and floating restaurant on the river completed the scene. 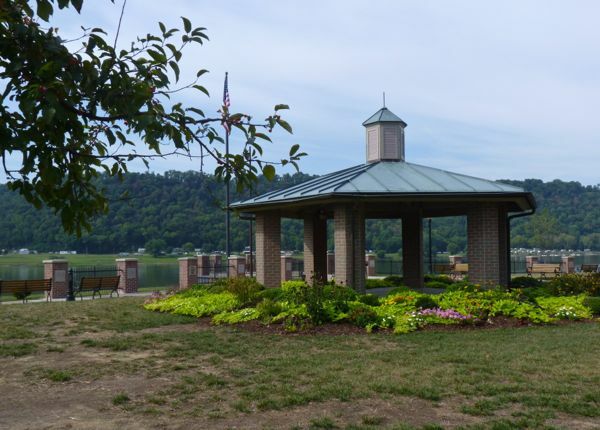 Madison sets on the banks of the Ohio River and is referred to as the Queen of villages along the river. I can see why it got the title! It was a very pleasant place to visit, and I wished I had more time to explore. The bridge crosses the river into Milton Kentucky, which I took to continue my trek. Madison looks like a great place. On its Main Street were its businesses looking sustainable? Sadly, in so many similar places the old shops are vacant or barely surviving. Many folks of course blame the Walmarts & big-box stores for sucking the life out of such main streets. Others just blame the economy. I’d be interested in your comments. In your travels you are getting to see much of America that largely ignored by the media. Seems the tv-box thingie only shows us California, New York City, or Washington DC. Further to my comment above — I drove through Detroit last year and found it hard to believe what I was seeing. It was shocking. Downtown Madison seemed to be doing well. There was a nice mix of shops with very few vacancies. It was clean and spruced up with flowers, benches and old style street lights. There are the typical big stores on the outskirts. But, the town has done a good job of making the center appealing. 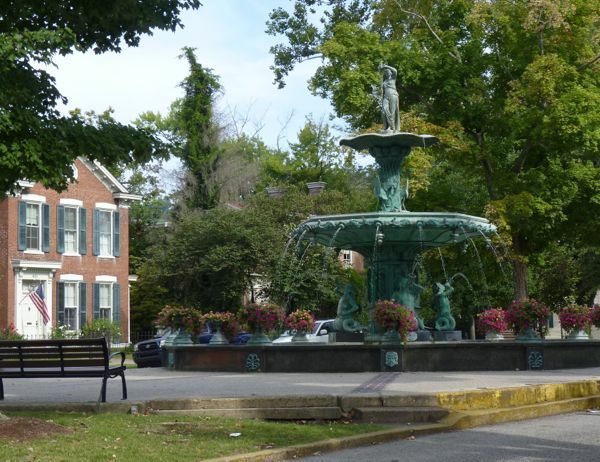 Lots of parking, pretty parks and regularly scheduled events to attract the public. They also promote themselves state and region wide. 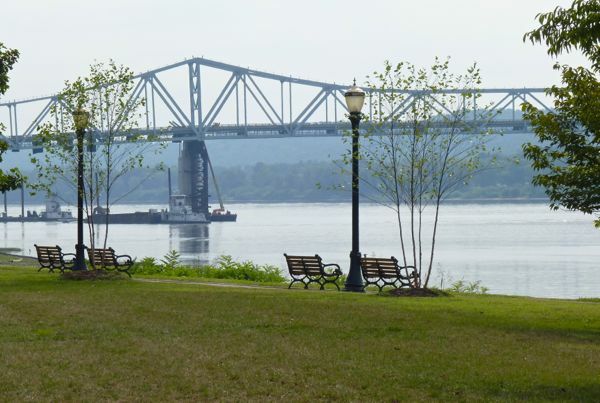 Not to mention it sets on the Ohio River and is the only way into the state in this area. I think they have a good thing going. As far as the unheralded parts of the country; yes they are on my preferred routes. Rivercat: Sounds like a fun idea to be a riverboat gambler. Hope your plans work out for this year. It’s tough doing pay-as-you-go. But, you have a lot of talents to be successful.